Most of the GST-related earnings pressure was seen during Q1FY18... these short-term adverse impact should get normalised over the next couple of quarters. 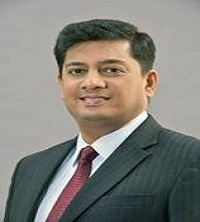 Harsha Upadhyaya heads the equity desk at KMAMC, and also directly manages funds such as Kotak Select Focus, Kotak Opportunities and Kotak Tax Saver. Harsha has over two decades of experience spread across equity research and fund management. He has previously worked with DSP BlackRock, UTI Asset Management, Reliance Group and SG Asia Securities. Harsha completed his Bachelor of Engineering (Mechanical) from National Institute of Technology, Suratkal and holds a Post Graduate Diploma in Management (Finance) from Indian Institute of Management, Lucknow. He also holds Chartered Financial Analyst charter from the CFA Institute, US. Kotak Mahindra Asset Management Company Limited (KMAMC), a wholly-owned subsidiary of Kotak Mahindra Bank Limited (KMBL), is the Asset Manager for Kotak Mahindra Mutual Fund (KMMF). KMAMC started operations in December 1998 and has approximately 7 lakh investors in various schemes. KMMF offers schemes catering to investors with varying risk and return profiles and was the first fund house in the country to launch a dedicated gilt scheme investing only in government securities. The company is present in 76 cities and has 79 branches. In an interaction with IIFL, Harsha Upadhyaya said, ''Most of the GST-related earnings pressure was seen during Q1FY18... these short-term adverse impact should get normalised over the next couple of quarters''. What investment strategies have you adopted to play Indian capital markets? We generally follow ‘Growth at reasonable price’ (GARP) investment approach. We try to look for businesses that have proven business models, which are scalable in nature, where capital efficiencies are high and have a reasonable competitive edge in their respective areas of business. We also very keenly look at the management track record and its quality. The final filter is valuation in every case. Typically, we look for compounding characteristics of earnings growth at reasonable valuations and build a portfolio around that strategy. What would be your advice to investors with medium to long-term investment horizon? Prudent asset allocation and long-term focus are very critical for all investors. We are advising investors to enter equity market in a disciplined and staggered manner, preferably through SIP route with long-term investment horizon in mind. With recent strong up-move in the market, it is not advisable to chase market momentum. Where do you envisage mutual fund inflow in the Indian markets? Currently, equity MF inflows have been ranging between Rs. 12,000 – 15,000 crore per month. At least about Rs 7,000 crore out of this seems long-term oriented and structural in nature, which includes SIP and EPFO investments. This portion seems unlikely to go down even if there is some short-term volatility in the markets. Which sectors pose a high risk in the current market conditions? Some sectors such as Pharma, Telecom and IT are facing structural headwinds and earnings are under pressure. We do not envisage any improvement in the short-term. Valuation-wise there are many other sectors such as NBFCs, FMCG etc., which are trading at rich multiples, and therefore could pose risk. What is your view on Q1FY18 earnings? Do you expect the impact of GST to continue in the upcoming quarters? Q1FY18 was a disappointing quarter in terms of overall earnings. Nifty earnings declined by nearly 10% yoy during the quarter. Most of the GST-related earnings pressure was seen during Q1FY18. Most of this short-term adverse impact should get normalised over the next couple of quarters. How you handle cash ratio component in your mutual funds? What is the relation of cash ratio to the markets? Cash level in our funds is generally limited to not more than 7.5% of the corpus. Within this overall limit, we try to look for opportunities to invest in a gradual and calibrated manner.